25/03/2018　The ambition for baseball and softball’s inclusion on the Paris 2024 Olympic Programme opened the morning session of the second day of the World Baseball Softball Confederation (WBSC) Executive Board meeting at the headquarters of the French Olympic Committee (CNOSF). The Executive Board reviewed a bid from Tainan City, Taiwan, to host the U-12 Baseball World Cup for the long-term. The WBSC Executive Board again reinforced the stipulation that only the highest-level National Team tournaments are appropriate to be named World Cups. The WBSC Executive Board deliberated on the establishment of Baseball5 as WBSC third official discipline, adding it to baseball and softball. The governing body will now be able to explore endless opportunities for development. The WBSC Executive Board cleared way for the founding of Base, the in-house company that will manage WBSC media and sponsorship rights. 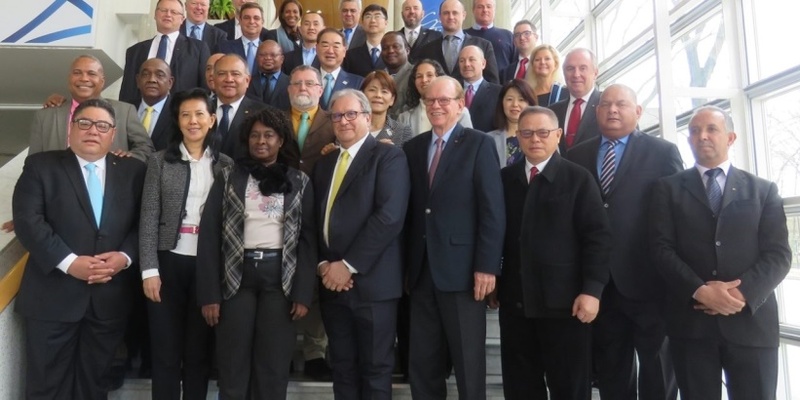 The Executive Board approved 2 new National Federation Members (Bermuda, Laos baseball) and an Associate Member (the American Amateur Baseball Congress, AABC), to be ratified by next WBSC Congress.